This event's fall conference convenes 400+ global city leaders representing 250+ cities and communities to advance citizen engagement, improve citizen life and to prospect and partner with innovative technology and service providers, linking progressive cities with state-of-the-art solutions and best practices. It continues the conversations started during the spring event in Kansas City earlier this year. Session Description: The network densification challenge poses a problem that cities and carriers alike are facing today. Growing populations plus more connected devices vying for unlimited data has led to an ever-increasing bandwidth deficit. According to Small Cell Forum, an expected 1+ million Small Cells will be deployed in urban areas by 2030 to support 5G and densification. These need to be hosted somewhere in a city – on agreed infrastructure, while delivering optimal service, without disrupting streetscape aesthetics. Small Cell and other ICT network technologies to support 5G network densification need to be deployed densely, affordably, and ubiquitously through a city exactly where the people are. 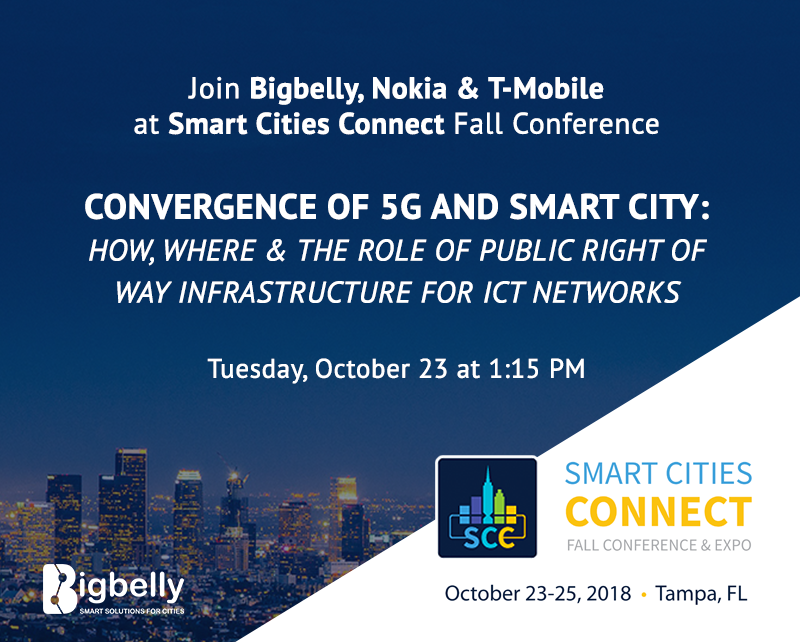 This panel session will discuss this shared challenges and solutions being used among network operators, wireless carriers, and city officials to bring 5G to life. Dig into how private-public-partnerships can unlock multi-purpose smart infrastructure that’s already being used in Smart Cities - for example, the core necessity of public waste bins. This smart infrastructure sits in the public right of way to provide a core city service and can do much more for the community as a hosting platform for Small Cell and other ICT technologies. Check out the full conference agenda here to map out your time at Smart Cities Connect. We hope that you can join us. Add our session to your Smart Cities Connect conference agenda!